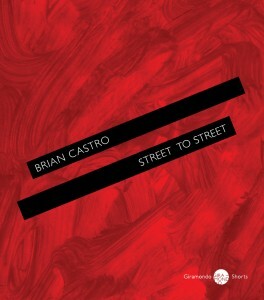 The intellectual exuberance and dark ironies of Brian Castro’s Street to Street make this another Castro extravaganza in story-telling. Street to Street is the unfolding of two lives gradually intertwining, the unfortunate biographer, Brendan Costa, and his difficult subject, the poet-scholar Christopher Brennan. In its disconsolate exhilaration and poetic melancholia, Street to Street is an ode to creativity and its spectacular and not-so spectacular fulfilment. Brennan’s language, his metaphysical concerns, his difficult life, and the aleatory location of his poems in an unreal zone of abstracted time and space make him a liminal and challenging figure. He is the sort of hybrid writer that Castro is naturally drawn to — what he has called “writers who do not conform, either generically or canonically”. Such writers “trouble rather than entertain”. These “‘non-national writers’” are not necessarily celebrated: “they are suspect and ‘illegal’” (Castro, Brian. “Arrested Motion and Future-mourning: Hybridity and Creativity.” Southerly. 2008 68 3. Page 119). Brennan is a threshold figure of Australian poetry whose individual poetics and bohemian life remain sources of interest and discussion. The narrator of Street to Street is Costa’s friend and colleague, known as The Labrador. He informs us that Costa, in his sixties and working on Brennan for over a decade, “was not offering a biography of Brennan, not even a minor, muddy one, pickling the stones of false memory” (17). This is familiar Castro territory of the hopelessness of auto/biography as testamentary evidence, a terrain explored so extravagantly but differently in Shanghai Dancing. Instead, Costa “was thinking of one loose thread: the way a life unravels, falls apart, becomes dissolute, not for all of the obvious reasons like alcohol or disastrous relationships or depressive illness, but through mood” (17). Life in Street to Street is a disappearing act, a dissolving reality, a matter of spectral possibilities. To highlight the Labrador as narrator of Street to Street is to join in the exquisite play of Castro’s narrative hand. He so skilfully merges the identity of Costa, Brennan and the Labrador that the novella becomes another Castro sleight of hand. We might ask who is really telling the story, and it is sometimes impossible to tell. The merging of narrative identities raises the question of whose creativity is at stake: Brennan’s, his biographer’s, the Labrador’s or Castro’s own as the ghost behind all three, the phantom hand that elegantly traces the lines of fate that seemingly converge in the body of the Labrador, the storyteller who appropriates Costa’s life and his narrative. Street to Street carries the sense of some primal scene of emasculation: Brennan stands utterly denuded before his wife and his mother-in-law while his biographer, Costa, is stripped bare by the female Head of Department. For both men, their lovers are a salvation of sorts, but what salvation can there really be? Brennan tears himself up in bed lying next to his young lover while Costa makes desperate preparations for the arrival of his. Castro may enshroud Brennan in the familiar fog of alcohol, but his triumph is to enter into Brennan’s despair in such a way that we begin to wonder what is the meaning of creativity. A project within Street to Street is the dual critique of the university in the powerful interrogation of Brennan’s unhappy experience in his own time and Costa’s own scathing treatment in an increasingly commercialised academy. Castro himself is critical of the contemporary university, arguing that “deep thinkers and critics … have been turned into marketeers and petty bureaucrats” (119). Costa’s own unravelling is as devastatingly imagined as Brennan’s, undone by the academy and his own subject. Is the biographer morally responsible for his subject’s failings? Costa’s statement that “I am not defending the man … but I do stand for his contradictions” (137) suggests the moral conundrum of biography. To take on the life of another as biographer is to be implicated in that life. Some of the most superbly imagined passages in Street to Street are those dealing with Brennan’s decay. In its compression, Street to Street is like a beautiful long prose poem whose jagged edge is a wider critique of what a literary and intellectual culture might be. The novella is part of Giramondo’s series of Shorts. Those familiar with Castro’s writing know already of his intense compressions and his paradoxical expansions. At its exhilarating best, Street to Street has the mesmerising power of Shanghai Dancing. Of course, Street to Street carries its own incandescent weight. It breathes the darkness of Brennan’s life, its highs and lows, its own iridescent hopes and shadowy despairs, with an ironic compassion for the domesticity the poet is enjoying with his young mistress, Violet Singer, before her terrible death. In the intensely imagined bond, Castro gives us the claustrophobic closing in of life on Brennan himself, a tragic-comic figure of his own poetic making: “Nobody noticed his muttering that he had finally found the Absolute” (139) which once was “the absolute imagination, placeless, unsullied by distraction” (84). In the unravelling lives of Brennan and his biographer, Castro has perhaps too ready a subject for his own themes, the interrogation of writing and of the academy, but if that is the case, Street to Street is a disquieting reflection on our literary and intellectual culture. Brennan is no mere cipher for the interrogation of writing and its discontents, and Costa is not his straightforward double. Without sentimentality but much dark humour, Street to Street evokes the creative dangers of Brennan’s life and the philistine narrowness of his era as much as the creative dangers of his biographer’s life and the philistine afflictions of the contemporary era. Castro imagines a life of Christopher Brennan and gives us a haunting narrative. His imaginative rendering of Brennan’s life and the biographer’s own reality, and the wider cultural forces in which they’re enmeshed, prises open the subject of what it means to possess an enriching intellectual culture. In its vertigo-like effect, Street to Street holds us in its dizzying grip. Tina Giannoukos is a poet, fiction writer and reviewer. Her first book of poetry is In a Bigger City (Five Islands Press, 2005). Her poetry is anthologised in Southern Sun, Aegean Light: Poetry of Second-Generation Greek Australians (Arcadia, 2011). Her most recent poetry publication is the sonnet sequence in Border-Crossings: Narrative and Demarcation in Postcolonial Literatures and Media (Winter, 2012). She has a PhD in Creative Writing from the University of Melbourne. She has been a recipient of a Varuna Writers Fellowship, and has read her poetry in Greece and China. This entry was posted in Brian Castro, Giramondo, Issue 7, Street to Street, Tina Giannoukos and tagged Australian short fiction, Christopher Brennan, literature, Novella by Mark Roberts. Bookmark the permalink.